FAKE PRESIDENT OF EU COUNCIL SAYS LOST CONTROL OF BORDERS WILL DESTROY EU ENTIRELY……. – The Tundra Tabloids……. FAKE PRESIDENT OF EU COUNCIL SAYS LOST CONTROL OF BORDERS WILL DESTROY EU ENTIRELY……. Proving that we were right all along, that the EU and this current muslim settler waves cannot be good for any of us, whatsoever. But here’s to the collapsing of the EU nonetheless! THE European Union has lost control of its borders and risks total collapse if they are not sealed, a senior Brussels diplomat has warned. Donald Tusk, president of the European Council, warned the EU was now facing a “critical point” and that the migrant crisis hadn’t even reached its peak. 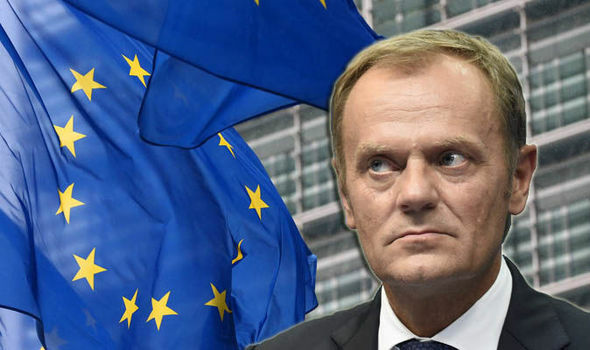 As he chaired an emergency meeting of EU leaders in Brussels last night Mr Tusk painted a bleak picture of the EU’s future, saying the 28-member bloc was on the verge of breakdown with “recriminations and misunderstanding” pitting nations against one another. The future of free movement was at stake, he said, as the continent had lost control of its borders as well as a “sense of order”. Previous Post Previous Post BULGARIAN ORTHODOX CHURCH SAYS CLOSE THE DOORS TO MUSLIM SETTLERS……. Next Post Next Post FINLAND: DEADBEAT STUDENTS END 9 DAY TAKEOVER OF HELSINKI UNIVERSITY BUILDING……. So the EU could collapse? Good! . . NO, VERY GOOD.